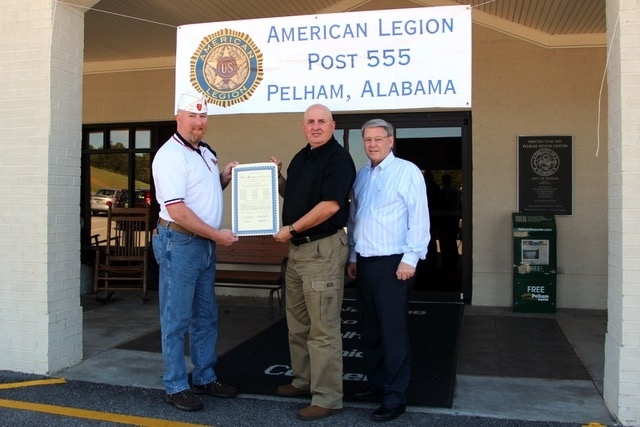 Commander, Barry Blount with Adjutant, Ron Koonce, is presented Post 555 ’s Charter on October 17, 2014, by Alabama Department Adjutant, Greg Akers. 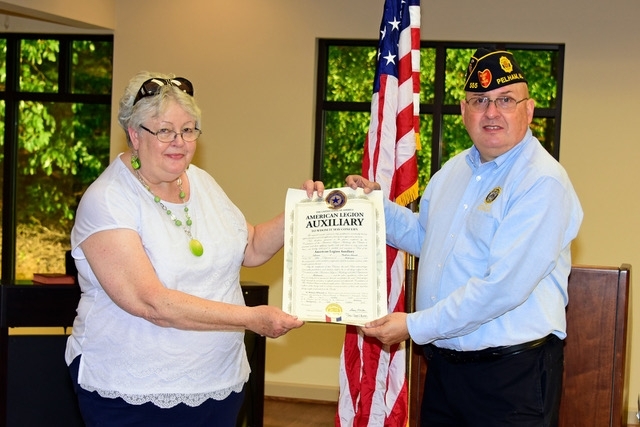 Peggy Henley, Auxiliary President, is presented the Matthew Blount Auxiliary Unit 555 Charted on July 5, 2016 by Post 555 Commander, Barry Blount. 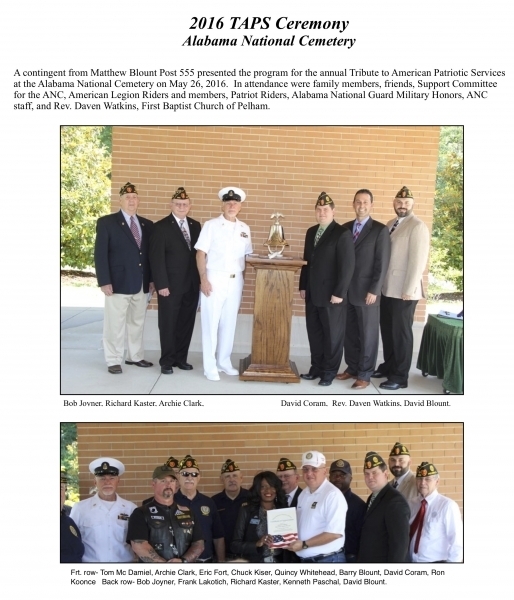 The Post is relatively new, chartered in September 2014 with 30 charter members. 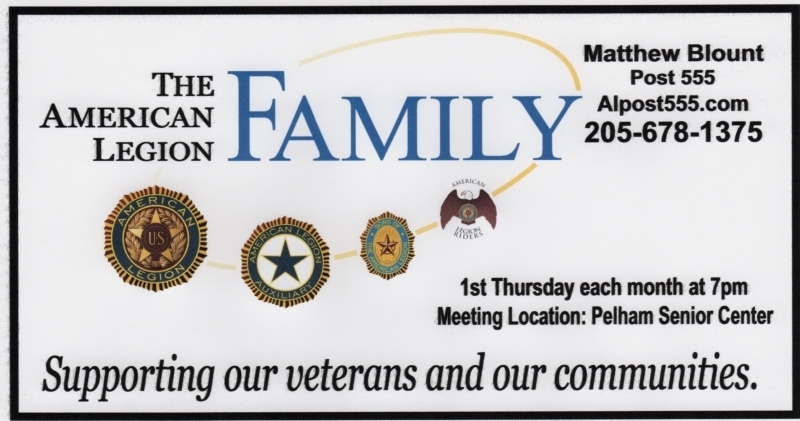 Today the Post’s roster has grown to 215 members in the last 40 months and continues to grow each month. 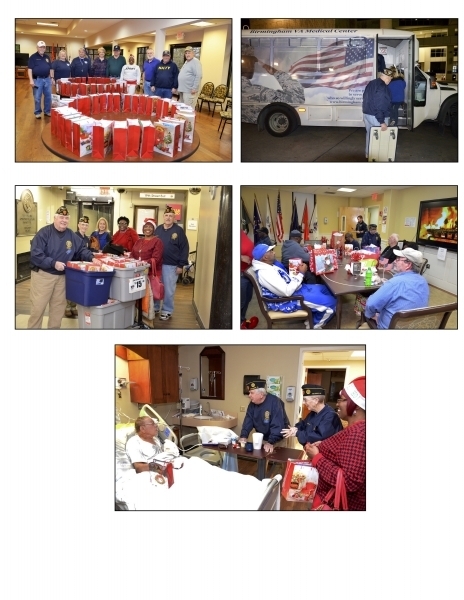 The Post exceeded its goal to have 100 members by December 31, 2015. 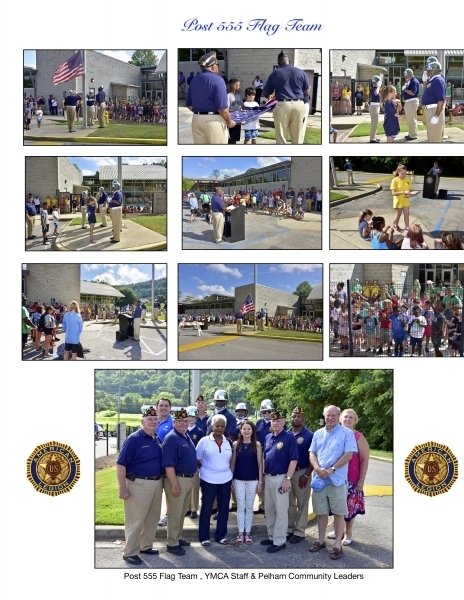 Post has received 100% renewal recognition for each year 2015-2018. 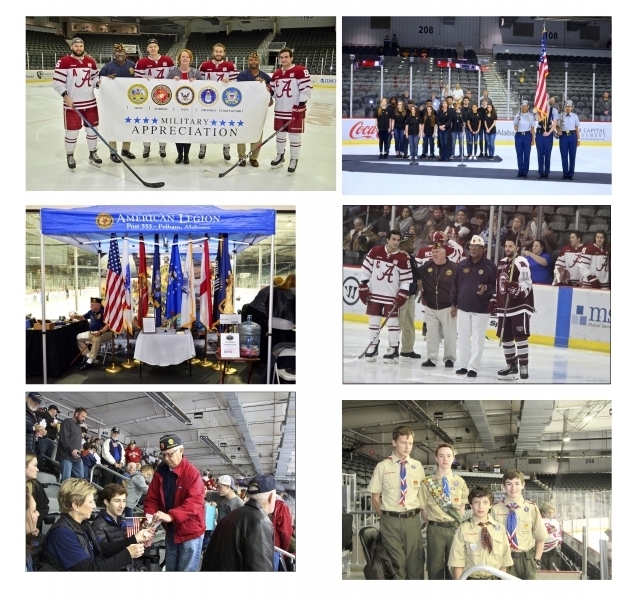 Matthew Blount Post 555 is a service and family oriented organization serving military troops, Veterans, youth and community. It.. 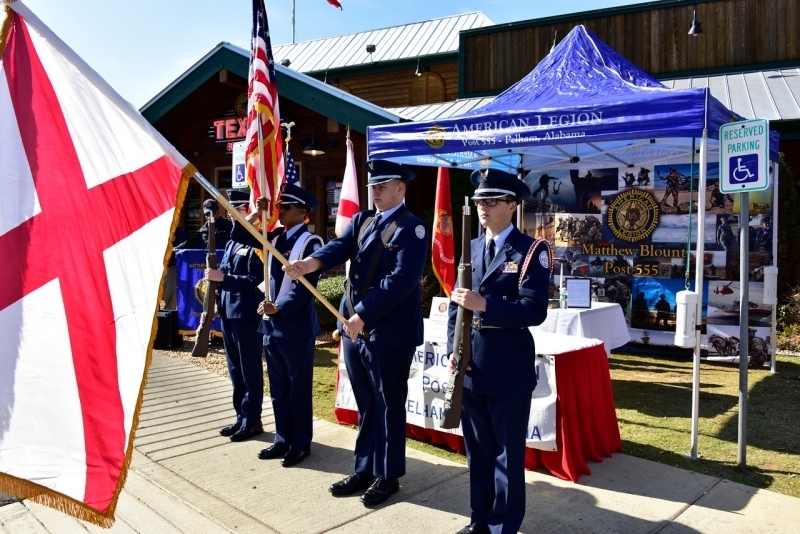 In 2014 the Blount family decided one of the best ways to have their son's legacyt o contiue was to establish an American Legion Post in Pelham named after thier son Matthew A. Blount who passed away in 2012 after serving in multiple tours overses as a combat medic. 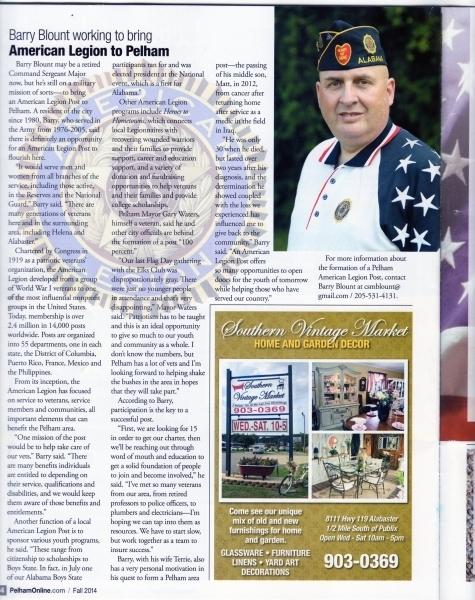 CSM(ret) Barry Blount, Matthew's father set out on his mission to establist The American Legion Matthew Blount Post 555. Just after twenty or so days the Post's application for a charter was submitted with thirty committed charter members. 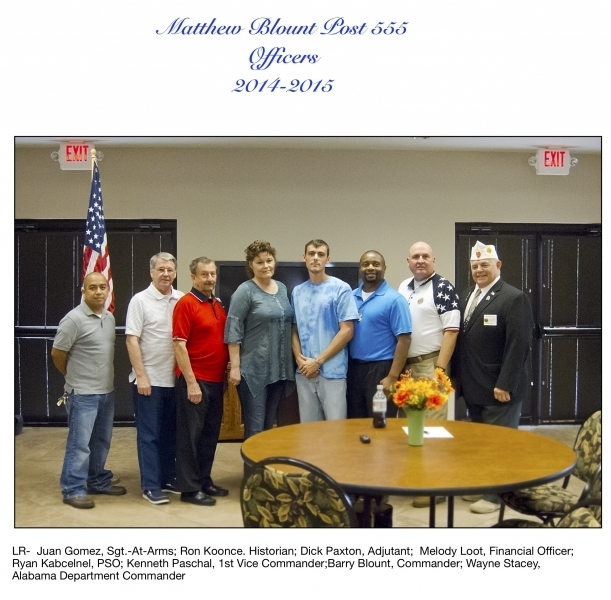 On September 30, 2014 the Alabama Department Adjutant, Greg Akers hand dellivered the Temporary Charter for Matthew Blount Post 555. 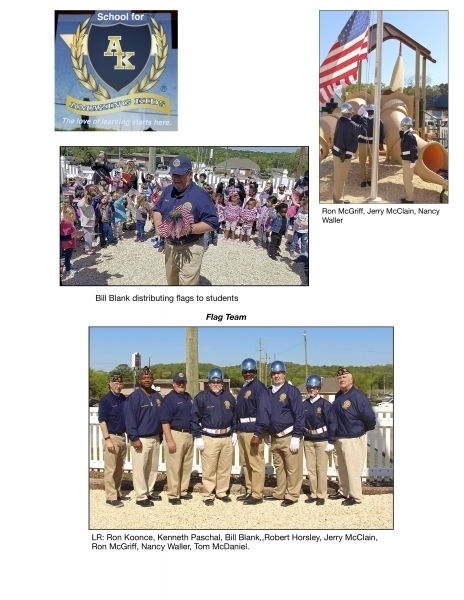 Pictured are the first officer class of the Post for 2014-2015. Three months later the Post received is permanent Charter. 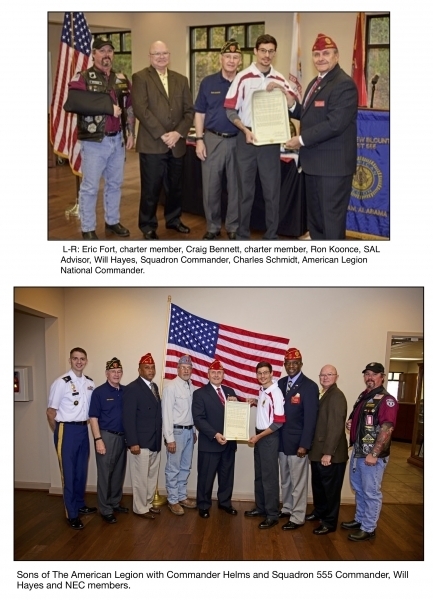 The American Legion Matthew Blount Post 555 is dedicated to uphold the principles of God and the Constitution of the United States of America; To provide support to veterans that have defended and served our country; To preserve the memory of those who made the ultimate sacrifice for freedom; To be a local entity initiating and supporting programs that..
Post 555's Executive Committee greeted National Commander's party and the Alabama Department officers for a tour of the Alabama National Cemetery in Montevallo, Alabama. 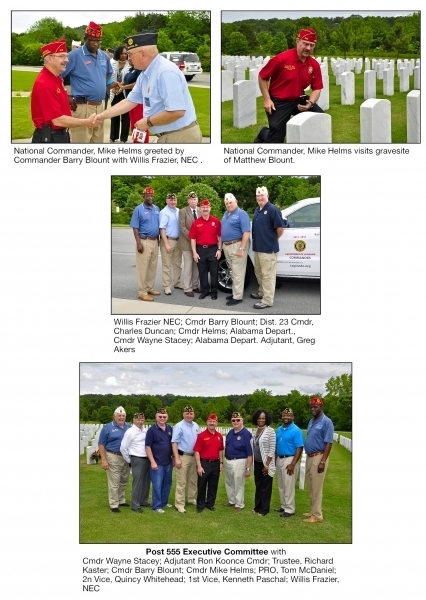 A contingent from Matthew Blount Post 555 presented the program for the annual Tribute to American Patriotic Services at the Alabama National Cemetery on May 26, 2016. 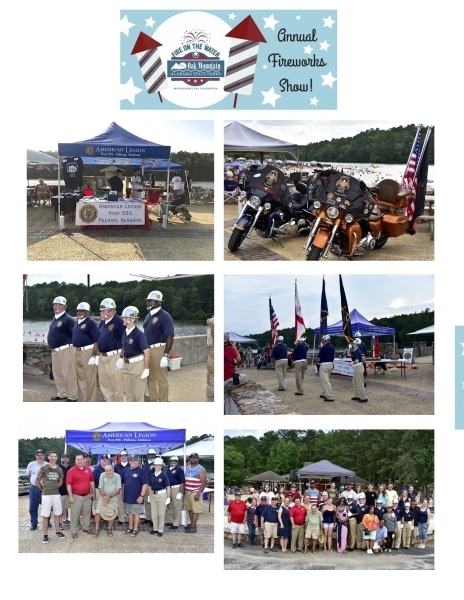 In attendance were family members, friends, Support Committee for the ANC, American Legion Riders and members, Patriot Riders, Alabama National Guard Military Honors, ANC staff, and Rev. Daven Watkins, First Baptist Church of Pelham. 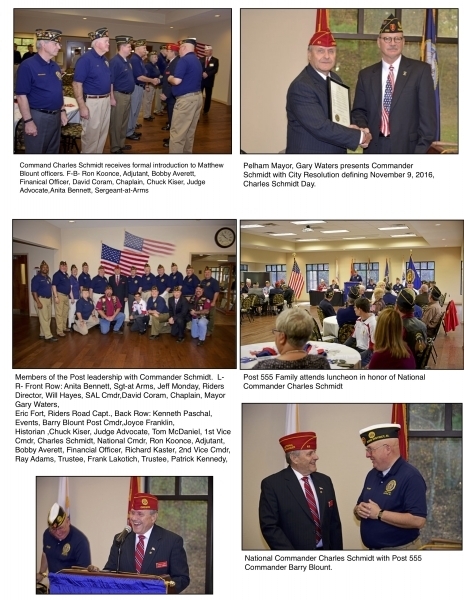 he Post 555 provided a luncheon for Charles Schmidt, American Legion National Commander, on November 9, 2016 at the Post 555 meeting hall in the Pelham Senior Center. 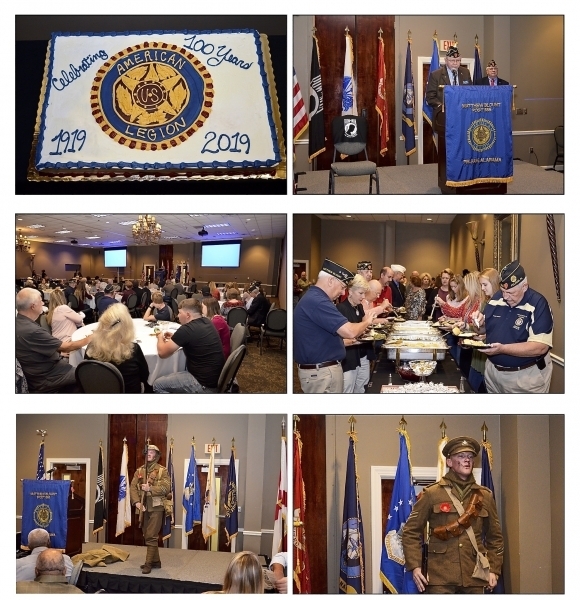 Attending the event were over eighty members of the Post, family members, National and Alabama Department representatives and community leaders.